Authors from the University of Adelaide and the Royal Adelaide Hospital, Australia, conducted a review and meta-analysis of the Medline and EMBASE databases, searching for observational studies reporting data on the association between obesity and incident, post-operative and post-ablation AF. Studies were included if they reported or provided data allowing calculation of risk estimates. Data from 51 studies including 626,603 individuals contributed to this analysis. There were 29% and 19% greater excess risks of incident AF for every five unit BMI increase in cohort and case control studies respectively. Similarly, there were 10% and 13% greater excess risks of post-operative and post-ablation AF for every five unit increase in BMI respectively. “At a population level, our data suggest that for every 1 unit reduction in body mass index there may be a 3–5% reduction in AF; for every 5 unit reduction, there may be 10–29% reductions. However, it should be noted that this is likely to be a significant underestimate of the effect of weight reduction on atrial fibrillation rates as weight control has favourable effects on other risk factors for atrial fibrillation, such as hypertension and diabetes. Given the more than 45 million people with AF worldwide, even small but widespread reductions in obesity would thus help contain this ‘epidemic’ of AF,” he added. “The prevalence of obesity is comparable in many developed countries, including those in Australasia and Europe. What is more significant, however, is the likely rise of obesity in developing countries undergoing demographic transition. This will further fuel the rise of atrial fibrillation in these developing countries,” Dr Sanders continued. 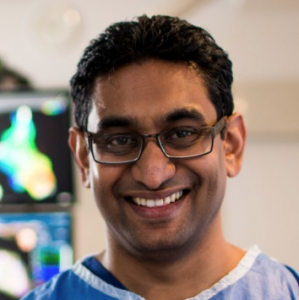 “Dr Sumeet Chugh (Cedars-Sinai Heart Institute, California, US) recently led a WHO Global Burden of Disease analysis that, for the first time, quantified the burden of atrial fibrillation worldwide. This is the first step in recognising the global scale of the problem and now provides a platform to institute potential measures. A continued effort on managing risk factors, such as obesity, will be important to prevent the development of AF. An important implication from our analysis, however, is that weight reduction in patients who already have established AF is also likely to be beneficial. Thus, earlier diagnosis and treatment of patients with AF may be a useful strategy to contain the burden of AF on society,” Dr Sanders added. “Doctors who see overweight and obese patients should invariably counsel patients about the many benefits of weight reduction, including that for cardiovascular disease in general, and in the course of a routine physical examination atrial fibrillation may be detected. While screening programs for AF continue to be evaluated, there is no data yet to suggest a systematic screening for AF in obese patients is cost-effective. It may be that obesity is eventually incorporated into an algorithm to identify people above some threshold of risk that warrants screening but such a strategy would require prospective investigation,” Dr Sanders concluded. 1. Wong CX, Sullivan T, Sun MT, et al. Obesity and the risk of incident, post-operative and post-ablation atrial fibrillation: a meta-analysis of 626,603 individuals in 51 studies. Clin Electro 2015.